Evoking an organic choice in personality, spontaneous design, femininity and the sheer splendor of feathers, each piece in the Plume collection has been seamlessly crafted as a celebration of a woman’s silhouette, resonating the shape of her body and soul, bonding the inner intrigues with the outside appearance. 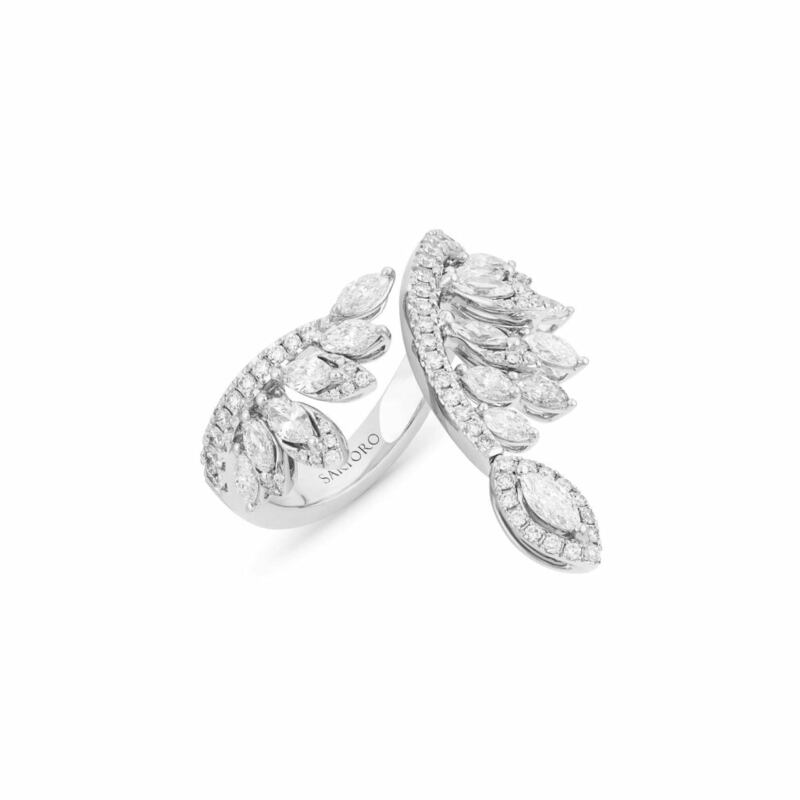 Tender fine jewelry clusters of bright white marquise and brilliant cut diamonds adorn 18K white gold for a heavenly appearance. 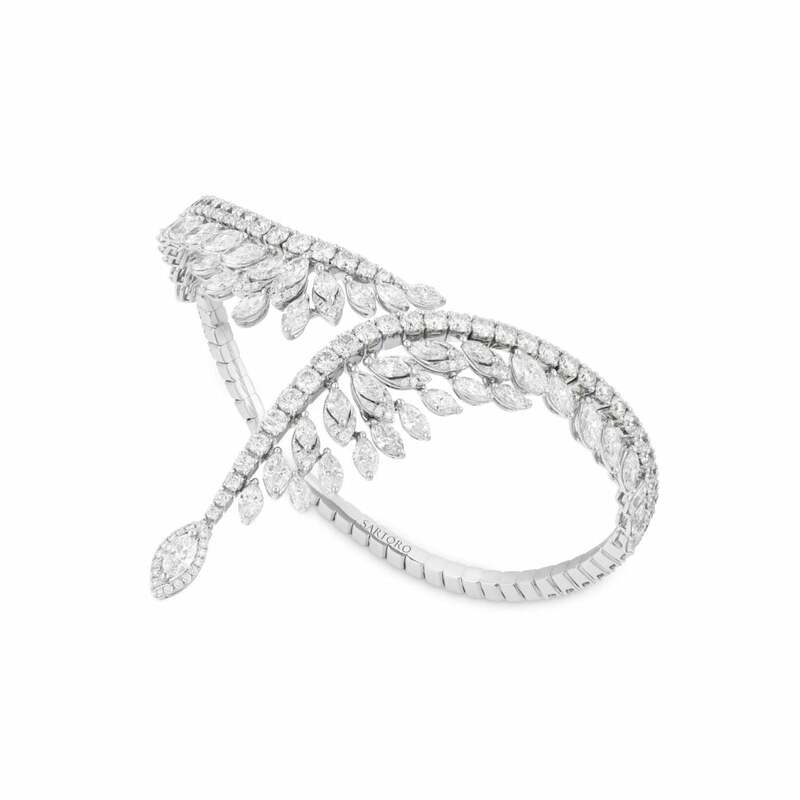 Delicate yet dazzling, the brilliance of feathered drop earrings and intricate, curling diamond bangles will astonish all who lay eyes on them. With just the right amount of appeal, and complexity, this unique collection adds a confident finishing touch to the wearer’s luxury posture, and image, to go to the ball and be the belle of it too, with all eyes drawn to the extraordinary artistry and style of the wearer. 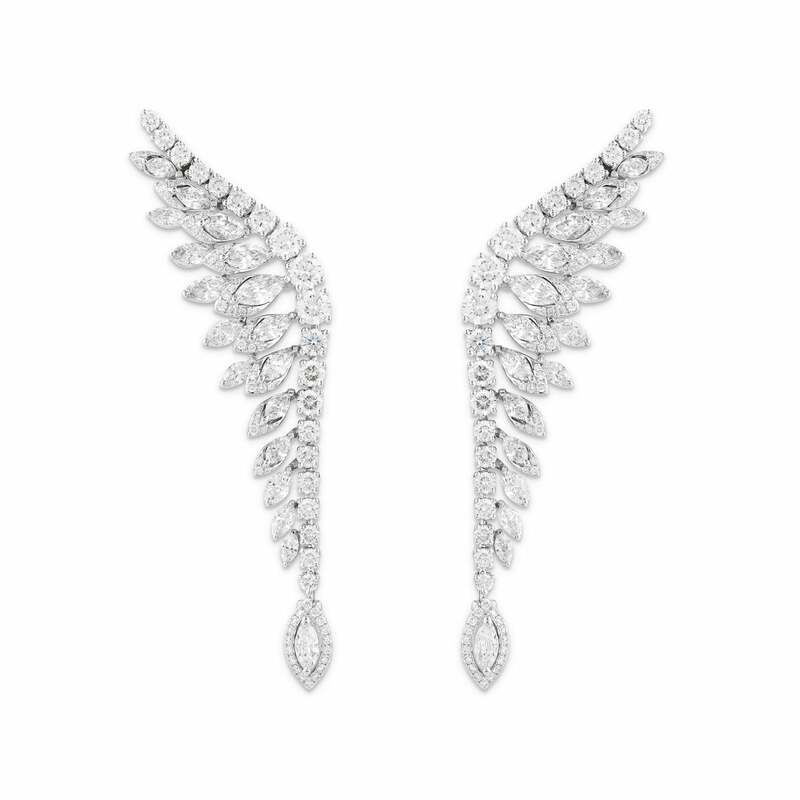 The Plume collection is synonymous with luxury and no expense has been spared creating the spectacle. 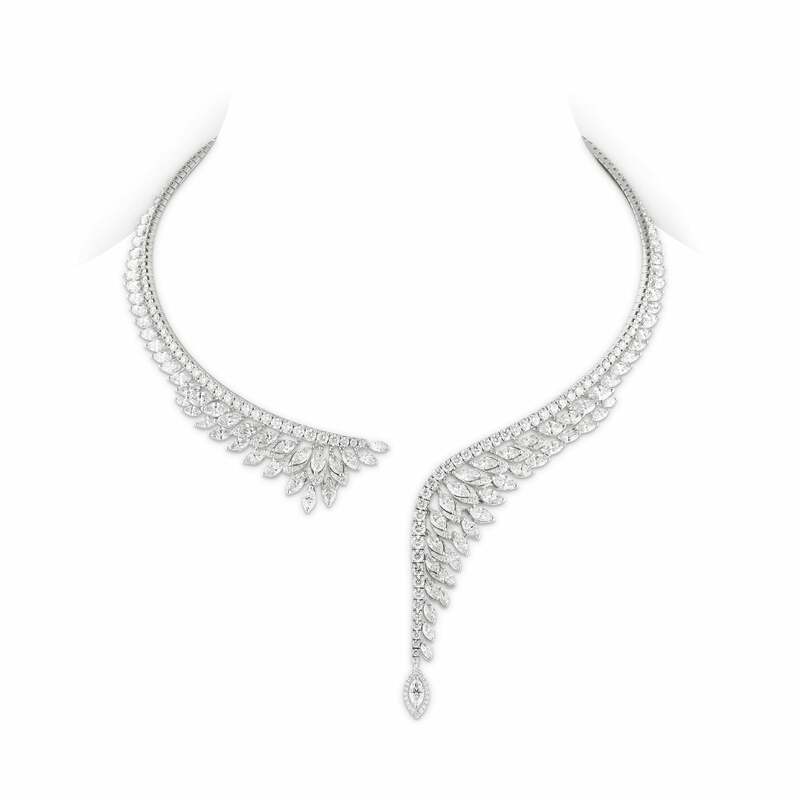 The diamonds with exceptional sparkle alluringly form each piece of the sets, intricately created by Sartoro master craftsmen, exuding a gallant statement with the innovative design of each piece. Celebrate finesse in all its glory with the 2018 Plume collection by Sartoro, available exclusively at Sartoro authorized retailers.